A cultivation plan is an organized list of touch points that you've decided are right for one particular donor. While you want it to feel natural from the donor's perspective, your approach to donor cultivation should be thoughtful and intentional. This means that rather than cultivating your donors haphazardly, you’ll document a personalized cultivation plan to define goals for your major donors, plus the necessary cultivation steps to get there. As mentioned in last week's post on donor-centered cultivation, this is a fantastic place to involve your major gifts committee. These key volunteers can help you to strategize touch points for each top donor. Your prospect or donor’s name will be at the top of your plan document. Then add the name of the staff person, board member or volunteer who is the primary relationship manager for this donor. Who has the best connection to this prospect or donor? Include a secondary relationship manager for times the primary person is unavailable or when you want two people involved in the cultivation. If your donor makes frequent gifts, don’t worry about listing all of them here. Summarize the donor’s giving history so that you can refer to it at as you are planning and implementing cultivation steps. I’ve seen plans where the hoped-for gift amount was printed in bold, 30-pt font on the top right hand corner of the page – effectively helping to keep the goal front and center. For each cultivation step or touch point, set a date you’re shooting for. It’s critical to include deadlines to help keep you on task and ensure your interactions with prospects and donors actually occur. For each cultivation step, include an agenda of what you’re hoping to accomplish. For example, if you’re having coffee with your prospect “Jane,” what questions will you ask Jane? What information about your mission will you share with her? Remember, your interactions with prospects and donors should never be one-sided with you doing all of the talking! Hint: Open-ended questions are a great way to engage your donor in the conversation. Be sure to leave yourself room for taking notes. The Notes section can capture new information you learn about your prospect during a cultivation meeting or ideas of where the cultivation might go in the future. For example, if your prospect Jane is interested in a site visit to your facility, jot down a note so you’ll be sure to schedule this valuable interaction. If you enjoy planning and like to be organized, consider creating a comprehensive donor plan that includes steps for cultivation, solicitation and stewardship. Getting stuck on short-term goals focused on today’s meetings or the next item on your to-do list, can limit your long-range brainstorming and planning. Long-range thinking can lead to big results from your major donors. What suggestions do you have for building a cultivation plan? Please share in the Comments box below. Your fellow fundraisers and I thank you! 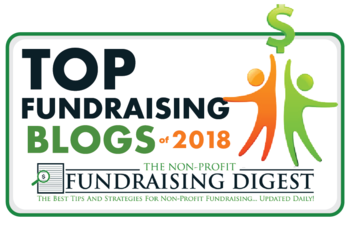 If you'd like proven fundraising tips and ideas delivered every week to your inbox, sign up here. You’ll also receive a free gift, my step-by-step guide, Conquer Your Fear of Asking for Money!